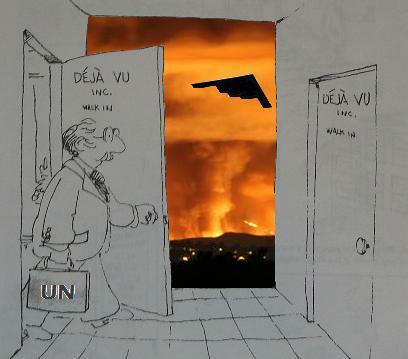 Iraq ~ Afghanistan ~ Libya: Haven’t we been here before? This is not a humanitarian operation. The war on Libya opens up a new regional war theater. There are three distinct war theaters in the Middle East Central Asian region. Palestine, Afghanistan and Iraq. What is unfolding is a fourth US-NATO War Theater in North Africa, with the risk of escalation. These four war theaters are functionally related, they are part of an integrated US-NATO military agenda. The bombing of Libya has been on the drawing board of the Pentagon for several years as confirmed by former NATO commander General Wesley Clark. Operation Odyssey Dawn is acknowledged as the “biggest Western military intervention in the Arab world since the invasion of Iraq began exactly eight years ago.” (Russia: Stop ‘indiscriminate’ bombing of Libya – Taiwan News Online, March 19, 2011). This war is part of the battle for oil. Libya is among the World’s largest oil economies with approximately 3.5% of global oil reserves, more than twice those of the US. The underlying objective is to gain control over Libya’s oil and gas reserves under the disguise of a humanitarian intervention. The geopolitical and economic implications of a US-NATO led military intervention directed against Libya are far-reaching. “Operation Odyssey Dawn ” is part of a broader military agenda in the Middle East and Central Asia which consists in gaining control and corporate ownership over more than sixty percent of the world’s reserves of oil and natural gas, including oil and gas pipeline routes. With 46.5 billion barrels of proven reserves, (10 times those of Egypt), Libya is the largest oil economy in the African continent followed by Nigeria and Algeria (Oil and Gas Journal). In contrast, US proven oil reserves are of the order of 20.6 billion barrels (December 2008) according to the Energy Information Administration. U.S. Crude Oil, Natural Gas, and Natural Gas Liquids Reserves). A military operation of this size and magnitude, involving the active participation of several NATO member and partner countries is never improvised. Operation Odyssey Dawn was in the advanced stages of military planning prior to the protest movement in Egypt and Tunisia. Public opinion was led to believe that the protest movement had spread spontaneously from Tunisia and Egypt to Libya. The insurrection was also planned and coordinated with the timing of the military operation. It had been carefully planned months ahead of the protest movement, as part of a covert operation. US, British special forces were reported to be on the ground “helping the opposition” right from the outset. What we are dealing with is a military roadmap, a timeline of carefully planned military and intelligence events. ANKARA, Turkey — NATO appeared on Thursday to move closer to assuming command of the military operation in Libya when Turkey’s foreign minister was quoted as saying an agreement has been reached. The alliance needs the approval of all 28 of its members in order to coordinate the operation, and Turkey had set conditions on that role for NATO. “The coalition that was formed following the Paris meeting will abandon the mission and hand it over entirely to a single command system under NATO,” Turkey’s Foreign Minister Ahmet Davutoglu was quoted as saying by Turkey’s state-run Anatolia news agency. Earlier in the day, Turkey’s parliament authorized the government to participate in military operations in Libya, including the no-fly zone. Turkey is NATO’s only Muslim member. Turkey’s government had insisted that any NATO mission, including the no-fly zone, must be restricted to protecting civilians, enforcing the arms embargo and providing humanitarian aid. Davutoglu had said Wednesday that his country would not agree to a “framework that goes beyond this.” But Turkey also said it would contribute four frigates and one submarine to the NATO naval force that patrolling off Libya’s coast to enforce a U.N. arms embargo. Two frigates had reached the Libyan coast while two others were on their way. In Brussels, NATO officials said the Military Committee – the alliance’s highest military body – met Thursday morning in Brussels to review plans to enforce the no-fly zone in Libya. The decision-making North Atlantic Council, consisting of envoys from all 28 member nations, was meeting later Thursday to review them. It has been meeting for six straight days, but a series of disagreements, including whether NATO should have overall political control over the operation and how aggressive rules of engagement should be, have so far blocked an agreement. 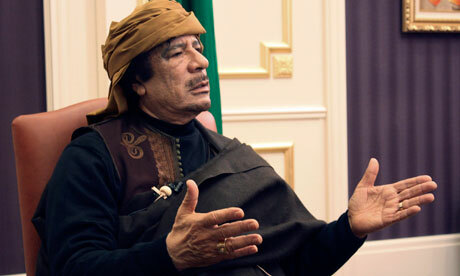 Colonel Muammar Gaddafi has warned that the imposition of a no-fly zone in Libyan airspace will be met with armed resistance and taken as proof that western powers are trying to steal his country’s oil. His defiant remarks came as pro-Gaddafi forces continued their assault on the city of Zawiyah and the country’s rebel leadership pleaded for the international community to close down Libyan airspace. Britain and the US have discussed the creation of an internationally backed no-fly zone as a contingency plan in case Gaddafi refuses to step down in response to the popular uprising that erupted last month. In an interview broadcast on Wednesday by Turkey’s state-run TRT news channel, Gaddafi said: “If they take such a decision it will be useful for Libya, because the Libyan people will see the truth, that what they want is to take control of Libya and to steal their oil. Barack Obama and David Cameron have agreed “to press forward with planning, including at Nato, on the full spectrum of possible responses, including surveillance, humanitarian assistance, enforcement of the arms embargo, and a no-fly zone”. 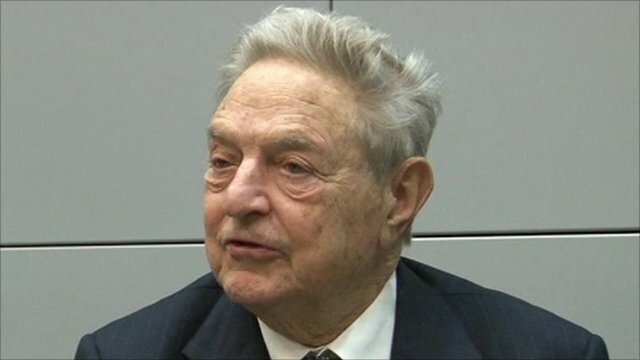 Citizens of oil producing nations must see more benefit from their country’s national resources, billionaire investor George Soros has told the BBC. Revolts in Libya were partly the result of “revulsion against a corruption” fed by the misuse of oil money, he added. More “transparency and accountability” was needed from other producers such as Russia and Saudi Arabia he said. Mr Soros also predicted the Iranian regime would be overthrown in the “bloodiest of the revolutions”. Libya produces 1.6 million barrels of oil per day and is the 17th largest producer in the world. And Colonel Gaddafi’s hold on power has been dependent on the billions of dollars in oil revenue that pour into the country. Talking of the wave of governments being challenged in North Africa and the Middle East, Mr Soros said: “What has caused the revolutions is a revulsion against a corruption that is fed by the misuse of natural resources like for instance in Libya. “Transparency and even more importantly accountability in the use of natural resources is what you need for people living in those countries to get the benefit of those national resources. WASHINGTON — President Obama, in wide-ranging remarks at the National Prayer Breakfast, said Thursday that he was praying for the violence in the Middle East to end, and separately called on the country to move beyond polarizing debate to remember that few people are right all of the time. 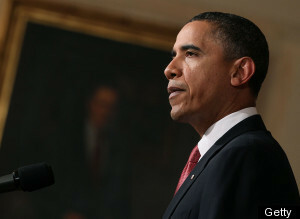 “She only took me to church at Easter and Christmas … sometimes,” Mr. Obama said.